The new 7th pay commission which was announced last year will soon s=come into effect as per latest developments. The employees of the central govt. will get their hiked salaries and other allowances from June or July of this year. This announcement has brought a sigh of relief to the lakhs of central govt. employees who were waiting for their salary increment right from the date of announcement of the new pay commission. Right now, the central govt. employees who are currently working or who have retired and are getting pension from the central govt. are getting benefits as per the 6th pay commission. 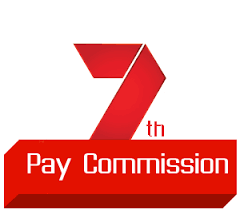 The 7th pay commission is ready to get implemented by June or July of 2016. As per the sources of the Finance Ministry, the secretariats are reviewing the recommendations of the 7th pay commission and have agreed on passing and implementing them by the end of the month of June. If this does not happen, then by far the process may extend till mid July. According to internal sources of the Finance Ministry, no such alterations were being made in the 7th pay commission drafted recommendations. This means the central govt. employees will have to wait for about two months to get their hiked salaries as well as allowances. How the additional financial burden will be borne by the Govt.? After the full implementations of the new 7th pay commission, there will be a huge financial burden on the centre. An estimated amount of Rs. 1.02 crore as financial burden to implement the 7th CPC is calculated. The 7th CPC will affect the salary structures of the central govt. employees from 1st Jan, 2016. So even after the implementation of this pay commission in June – July, the centre must clear this backlog of six, seven months. AS per sources from the Finance Ministry, the salary and the pensions will be cleared at first. There is also a plan of providing arrears. After that the additional allowances will be cleared. The central govt. employees are already eyeing on the fat salary checks they are going to get after the total implementations of the new pay commission which is going to happen around June end or within first two weeks of July. They are expecting a salary hike of nearly 2.5 times after the implementation of new CPC. In addition to this, they will be getting arrears for the six months from 1st Jan, 2016.